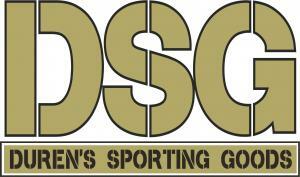 Duren Sporting Goods neither warrants or guarantees any weapon or item purchased. The original manufacturer warrants the item. We will be happy to be of any assistance possible with your warranty claim. Please call ahead or stop by and notify us for any transfer coming our way. All items not paid will be sent back at original owners/original FFL expense. What is a blind transfer? Any item for which we have zero pre-payment for an item going on our log books. We don't send mail to your house without telling you, please don't send mail to ours without telling us.